On a budget? You can start by buying only this one set and follow our beginner’s course. 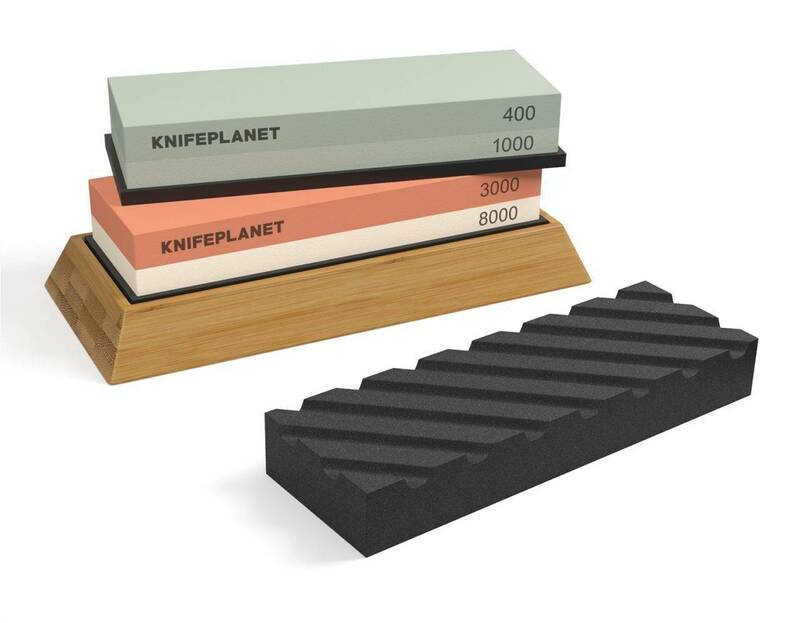 When attempting to choose a whetstone for sharpening your favorite knife, the number of choices can be mind boggling. 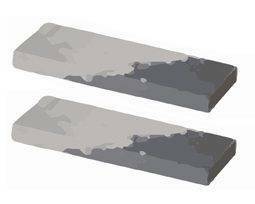 In fact, sharpening stones are divided into four distinct categories consisting of natural whetstones and manufactured whetstones which, in turn, are divided into two other categories consisting of oil stones and water stones. Then, there are numerous different varieties of natural whetstones consisting of several different materials that are quarried from different places around the world as well as several different types of man-made whetstones! For instance, American Novaculite (aka Washita and Arkansas Stones) is a form of metamorphic Chert that produces some of the best known and best loved natural whetstones in existence. Then, there is a form of Belgian Coticule which has been known for providing extra-keen edges since Roman times and, there is a Japanese Siliciclastic sedimentary stone (aka Japanese Water Stones) which consist of a fine silicate particles suspended in a clay matrix. 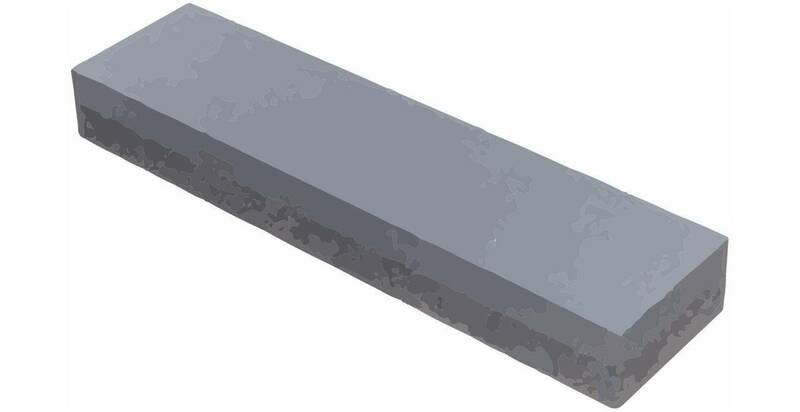 Plus, there are also various types of man-made whetstones available such as Silicon Carbide (aka Crystalon) stones and Aluminum Oxide (aka India Stones) as well as a synthetic Corundum (aka Ruby) rod and Aluminum Oxide impregnated ceramic rods as well as several different types of diamond hones. 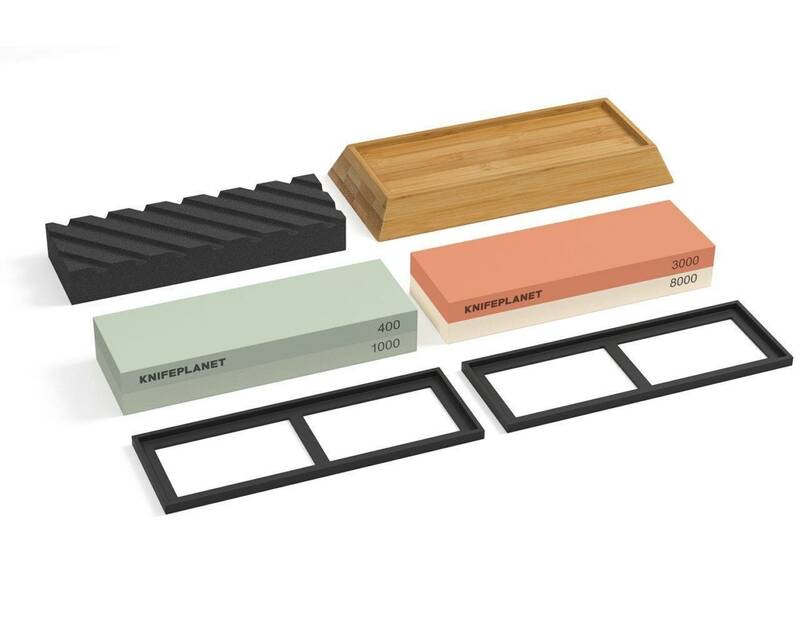 So, with that many different types of whetstones to choose from, how does a person choose the best sharpening stones for their needs? 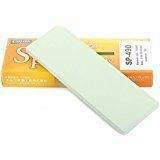 The answer to the question of how to choose a single whetstone from among the many is actually one of both purpose and expense. Indeed, as the old adage says: “You get what you pay for” – This is certainly the case with sharpening stones. 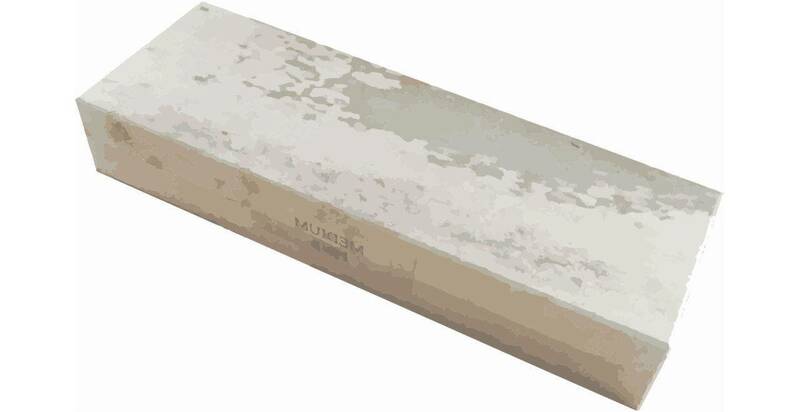 In fact, as a general rule, a high quality, natural, whetstone is significantly more expensive than a man-made whetstone but, they also tend to produce a noticeably finer edge than man-made stones do. On the other hand, man-made whetstones (with the exception of diamond hones) are very affordable and, just like natural whetstones, they too are available in different grits for different stages in the sharpening process from cutting the initial edge bevel to polishing a finely honed edge. 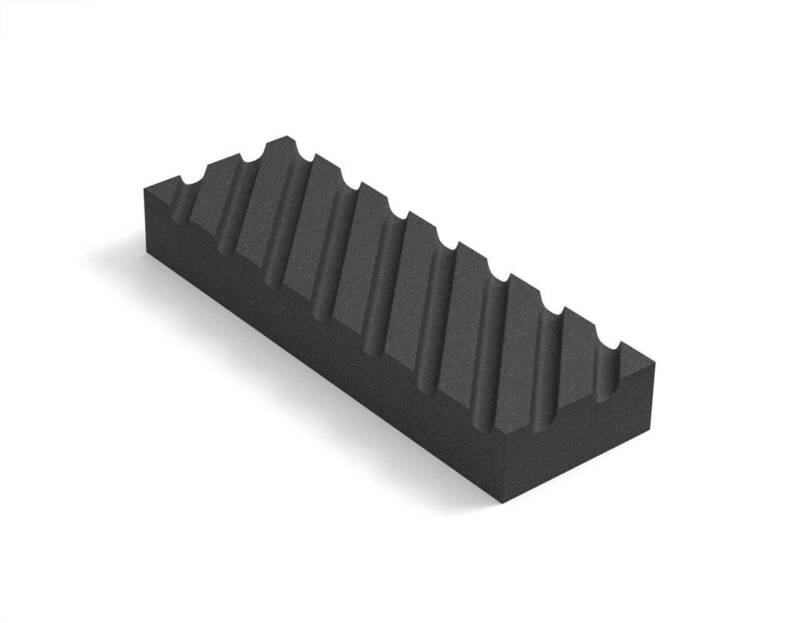 Therefore, the first step to choosing a whetstone is to determine your intended purpose and then choose your whetstone accordingly. 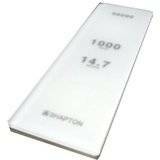 For instance, when sharpening tools that do not require a fine edge, you should choose a relatively soft, coarse, stone such as a Norton Crystolon water stone. 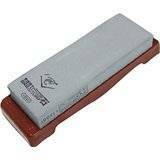 However, for sharpening tools that do require a fine edge, a somewhat harder Norton India oil stone would be a good choice. But, for sharpening hunting knives where an exceptionally fine edge is required, a Novaculite or Coticule oil stone would be the best but, most expensive, choice. So, the process of choosing the correct whetstone for any given purpose is to first determine how fast you would like for the stone to cut and how fine an edge you need, and then choose either a soft, coarse, stone or, a hard, fine, stone of the appropriate type and grit. However, due to limited natural deposits and extensive quarrying over the centuries, true, high quality, Japanese water stones are now few and far between and are very expensive. Thus, various companies are now producing synthetic Japanese Water Stones which generally have a more consistent composition and grit size than natural stones as well as often begin somewhat harder and thus, lasting a bit longer; not to mention being cheaper to purchase. In addition, there are three broad grades of Japanese Water Stones consisting of the Ara-to (rough stone), the Naka-to (middle/medium stone) and, the Shiage-to (finishing stone). However, it should be noted that the various grades of natural Japanese Water Stones vary widely in both density and grit size from stone to stone and thus, they do not translate well to American or European abrasive standards. Furthermore, because they are significantly softer than Novaculite, Japanese Water Stones must be flattened more often and do not last as long as a either Novaculite or Coticule stones. But, because they form a slurry of fine particles when used, they also do a superior job of both cutting and polishing. The word “Novaculite” is derived from the Latin word “novacula”, which means “razor stone” and is essentially a metamorphic, recrystallized, variety of Chert composed mostly of microcrystalline quartz that is found in the found in the Ouachita Mountains of Arkansas and Oklahoma and in the Marathon Uplift of Deposited in the Devonian Period and the early Mississippian Subperiod some 410 to 325 million years ago and subjected to uplift and folding during the Ouachita orogeny of the Atokan Epoch (early Pennsylvanian Subperiod), Novaculite is a very tough stone that is resistant to erosion and thus, the various layers of Novaculite stand out as ridges in the Ouachita Mountains. Thus, due to both its availability and its composition, it has been mined since ancient times for use as arrowheads and spear heads as well as in more modern times for use as sharpening stones. Furthermore, Novaculite consists of several different layers of stone of different densities, grit sizes, and colors. Thus, the red Novaculite layer (aka Washita Stone) is the both the softest and most coarse while, the next most coarse/hard grade is the grey/white Soft Arkansas stone; both of which cut relatively fast for a hard whetstone material and thus, they are an excellent choice for refining a bevel. Then, the next grade of coarseness/hardness is the hard Arkansas stone which is used to polish the bevel rather than define it and, last there are the grades of Hard Black and Hard Translucent Arkansas stones which are used for extremely fine honing and polishing of a cutting edge. Plus, it’s also the primary material in “Charnley Forest” (English) and “Turkey” oilstones. Both Belgian Blue and Vielsalm Coticule are ancient stone layers found in the Belgian Ardenne Mountains with characteristics similar to both Novaculite and Siliciclastic sedimentary stone in that it is a metamorphic stone consisting of both gray and yellow volcanic ash mixed with tiny Spessartite Garnet crystals suspended in a clay matrix. However, due to its geology, both types of stone occur only in vertical seams sandwiched between two thick layers of bluish-purple slate and thus, they must be meticulously extracted mostly by hand. However, this type of extraction process is both very time-consuming and very labor-intensive and, quarrymen can only extract the stone for a few months each year due to inclement weather conditions. Consequently, both Belgium Blue and Coticule whetstones tend to be somewhat expensive. However, because the Belgian Blue stone generally occurs in relatively wide columns with much thinner layers of Vielsalm Coticule on either side adjacent to the slate, the Belgian Blue stone is more plentiful that Coticule and thus, it’s somewhat less expensive. But, it’s also somewhat softer than Coticule and is not divided into different grades as Coticule is. Furthermore, because it is a softer stone than Coticule, it is sold without a substrate layer. Vielsalm Coticule on the other hand generally occurs in much more narrow layers sandwiched between the slate layer and the Belgian Blue layer and thus, it is both less plentiful and more expensive than Belgian Blue stone. Also, Coticule is divided into different grades and sometimes displays blemishes on the surface due to its proximity to the slate layer. Furthermore, it is somewhat harder than Belgium Blue stone and, due to its brittleness, it is bonded to a substrate layer of hard slate prior to sale to prevent the stone from breaking during use. Last, it should be noted that dual-sided Coticule/Belgian Blue whetstones are also sometimes available which have a layer of Belgian Blue stone on one side and a layer of Coticule on the other. Thus, these whetstones provide a softer, more coarse, grit on one side and a harder, finer, grit on the other. Plus, due to the inherent toughness of the Belgian Blue stone, these dual-sided stones do not require a substrate layer. 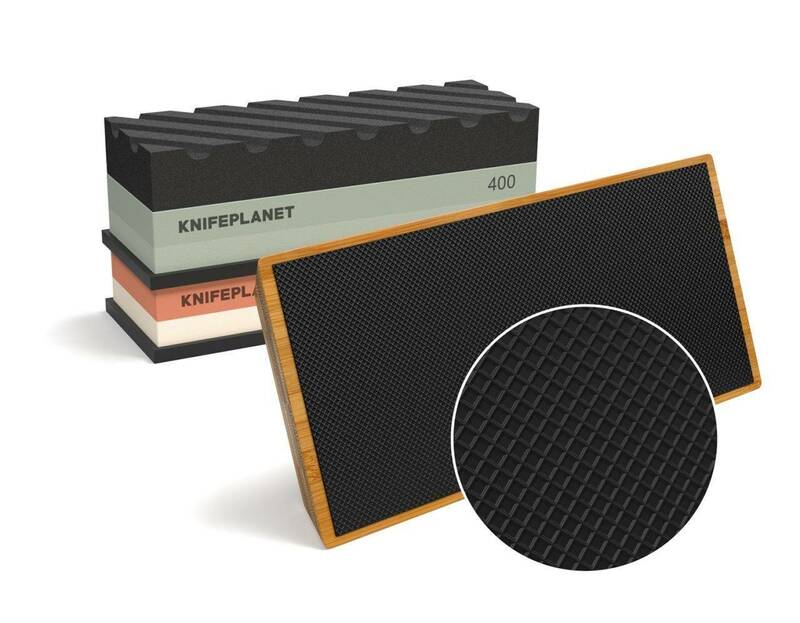 KnifePlanet Coarse Flattening Stone to keep the 400/1000 and 3000/8000 stones FLAT all the time. Online material: A collection of our best articles, videos and resources, all in one place to help you learn and improve your sharpening technique. We’ve been working on this product with beginners and intermediate sharpeners in mind. The set gives you all the needed elements to progress into your sharpening journey, working with different grits, mastering pressure levels… without investing too much at first. Whetstones are available in many different types consisting of Water Stones, Oil Stones, Ceramic Stones, and Diamond Hones and each has advantages and disadvantages over the others. Water stones need to be wet with water, and flattened. However, it should also be noted that “water stones” are generally significantly softer than oil stones and thus, water stones generally cut faster than oil stones but, they also have to be flattened more often that oil stones do. Furthermore, it should be noted that some water stones must be soaked in water for several hours prior to use whereas, others are of the “splash and sharpen” variety and thus, they only need to be soaked for a few minutes before use and then wetted down occasionally during sharpening process. Diamond hones on the other hand are more durable than either water stones or oil stones and, because they generally have a more coarse grit, they cut faster than natural whetstones. Plus, due to their construction, they never need truing and, in fact, coarse diamond hones are often used to flatten both natural and synthetic whetstones. Like Oil Stones, Water Stones are available in both natural and synthetic materials and, while some people prefer natural siliciclastic Japanese Water Stones, they can be very expensive and thus, others prefer synthetic Water Stones made from either Silicone Carbide or Aluminum Oxide instead. In addition, the most prized of the natural Japanese Water Stones are quarried in the Narutaki District north of Kyoto, Japan and are commonly available as either bench stones or pocket stones in grits ranging from 120 to 12,000. 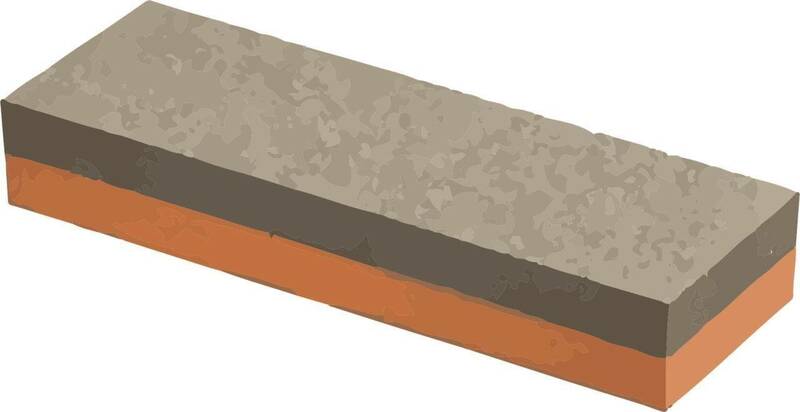 On the other hand, synthetic water stones are made from Aluminum Oxide and commonly available as either bench stones or pocket stones as well in grits ranging from 220 to 8,000 and, although this is the same abrasive material used to make India Oil Stones, the difference between the two is that the binder that holds the abrasive together enables Water Stones to be much softer than India Oil Stones which, in turn, promotes faster cutting because the worn abrasive material breaks away more quickly and is replaced with fresh, sharp, abrasive material more quickly. In addition, because water stones do not become glazed or loaded with swarf like oil stones can, new abrasive particles are constantly exposed as the stone wears so it continues to cut consistently. Plus, they can be lubricated effectively with water (rather than oil which can ruin some water stones) which combines with the fine particles of abrasive from the surface of the stone to form a slurry which polishes the bevel as the stone cuts. However, it should also be noted that Water Stones do become uneven significantly faster than other types of whetstones although, their softness does make them easier to true again. Oil Stones differ from water stones in that they require the use of honing oil to float the swarf (metal particles). Also, these stones are commonly made from one of three different materials consisting of Novaculite, Aluminum Oxide (Corundum), or Silicon Carbide (Carborundum) and they all use oil to lubricate the stone and suspend the swarf in order to prevent the stone from becoming clogged. Also, while Novaculite and Coticule are the most traditional types of oil stones, there are also synthetic oil stones made by the Norton abrasives company called “India Oil Stones”. 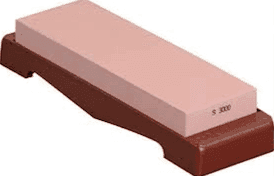 Aluminum-Oxide oil stones are very popular man-made sharpening stones produced by an abrasives company called Norton and which are commonly called India Stones. Generally less expensive than Arkansas stones (aka Novaculite), these stones are graded coarse, medium, and fine and are designed for fast cutting. Yet, when the fine grit is used, they can also produce a relatively fine edge. Also, because India Oil Stones are both softer and coarser than Arkansas Stones, they are commonly used in conjunction with Novaculite to cut the initial edge bevels or, repair extremely dull or damaged edges before refining and polishing the bevel with an Arkansas Stone. 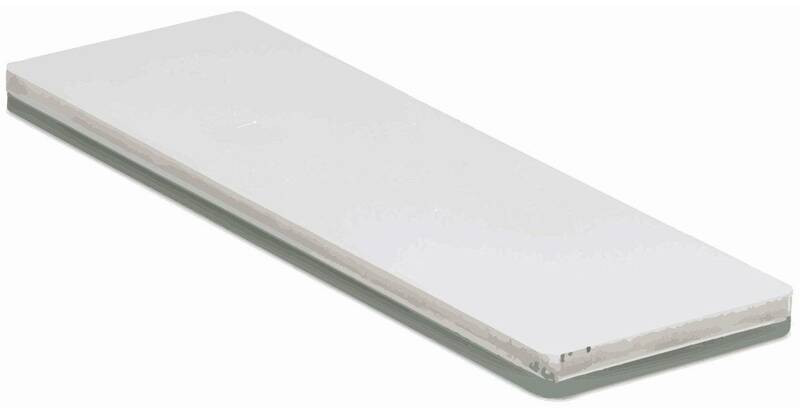 In recent years, some whetstone manufacturers have started producing ceramic whetstones made from hard, ceramic, powders that are mixed with Aluminum Oxide and then sintered to form a solid. 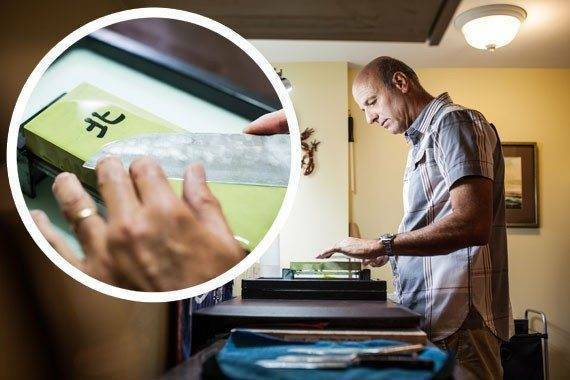 But, rather than using oil or water to lubricate the whetstone, ceramic whetstones are meant to be used without lubrication and thus, they provide a significant advantage for chefs who need to keep their knives sharp but, who do not have either the room or time for using a bench water stone. Thus, they are commonly available as either bench stones, pocket stones, round rods, or triangular rods. Diamond hones are made from very small, industrial grade, diamonds adhered to the face of a metal or plastic plate. Also, because Diamonds are so much harder than any of the other sharpening materials, they tend to cut very fast and last much longer than the other whetstone materials. But, they are also often more expensive to purchase. 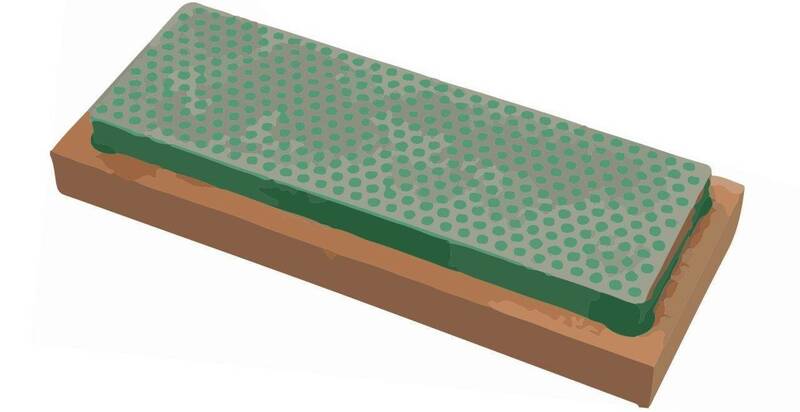 In addition, Diamond Stones generally consist of three different styles consisting of a solid metal plate coated with an adhesive and diamond dust with holes in the plate to allow the swarf to escape, a solid plate without holes for sharpening tools with corners that might catch in the holes, and a plastic plate with islands of exposed plastic interspersed with the adhesive and diamond dust to act as a lubricant. Soft Arkansas pocket stones, generally used to keep knives sharp in the field. When the stone is intended for use on a flat surface, it is called a Bench Stone. On the other hand, small, portable, hand-held stones are referred to as Pocket Stones. Also, because Pocket Stones are smaller than Bench Stones, they are more easily transported but, they also present difficulty in maintaining a consistent angle and even pressure when attempting to sharpen longer blades. Consequently, Bench Stones are commonly used at home or in camp whereas, Pocket Stones are generally reserved for honing an edge in the field. Written by Peter Nowlan – Professional Knife Sharpener in Halifax (Canada). Check out his interview on The Coast, and also here on KnifePlanet. Back in old days, when our Grandfathers and their Grandfathers sharpened anything, there was not much choosing to do, they took out the old, familiar and well used oil stone and put it to use. Not so much as a means to fulfil a passion for sharpening, but to get a tool, a chisel for example, sharp. Today, there is so much more choice. I sharpen with water stones only so my recommendations are going to be based on those, the most common whetstones in use today. The amount of water stones available now is staggering, it can definitely be overwhelming for people trying to decide which are the best stones to spend their money on. I am here to help you choose what stones to buy, I am completely obsessed with knife sharpening, I do it every day, I own a sharpening business and I do all, every single knife, thousands a year by hand on Japanese Water Stones so I need to have confidence in the stones I use. 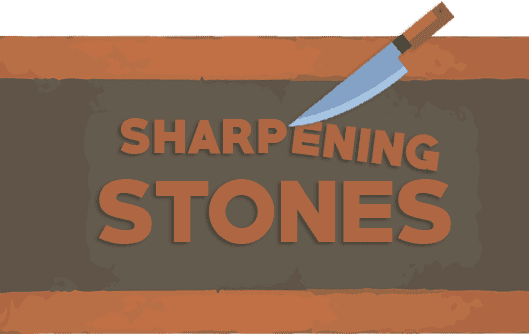 This article is not about how to sharpen a knife, check this article instead, but briefly, a coarse stone is critical, it has the potential to raise a Burr quickly and make a dull knife sharp quickly. The correct use of pressure enables us to form a burr, remove the burr and then do some coarse stone refinement and thus create a very sharp knife. This sensation is motivation, it is a confidence builder and will enhance your sharpening experience, so believe me when I say that a coarse stone is your first priority. I recommend a 400, 600 or 800 grit. 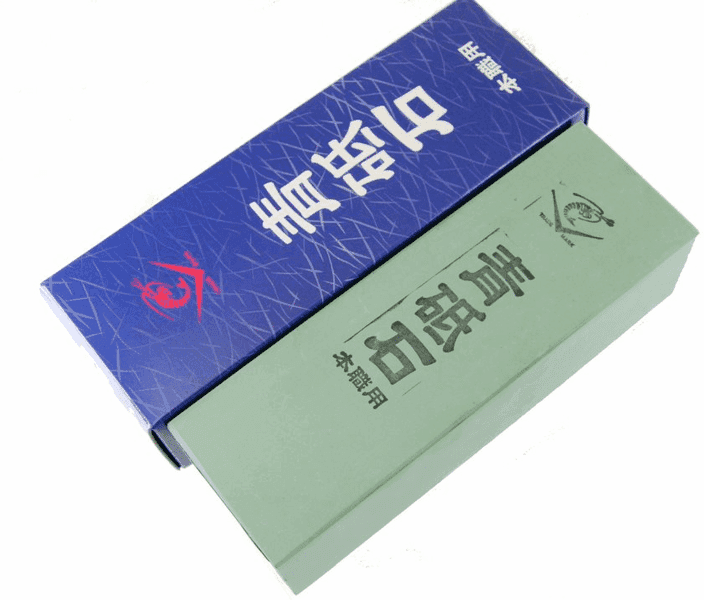 After that, depending on the knives you are sharpening strive to obtain stone combination, such as a 400 – 1,000 – 5,000 grit three stone combination is going to allow you to achieve knives sharper than most people have ever seen. Pressure control is really important while sharpening on water stones. Grit choices should fall in line with the steel used to make the knives you plan to sharpen. If your knives are all European, relatively soft steel knives, then you could finish off your knives at the 1,000 – 2,000 grit level. There is a lengthy explanation regarding this topic but suffice it to say that at 2,000 grit, these knives can be made extremely sharp. If your knife collection consists of some harder steels, up in the 60-64 range for example then you can refine at a higher level, 5,000 to 8,000. I want to keep this simple however so regardless of your knives, stick with the coarse, medium and fine combination. As you progress in skill, you can learn how the manipulation of pressure can be used to prevent over refinement but that knowledge is something you can put aside for now, it’s another exciting step to follow though. The following are my personal favourites and they are all synthetic stones, I do have experience with natural what stones but lets keep it simple, lets stick to synthetic water stones. Believe me, some of the world sharpest knives are sharpened solely on synthetic stones. Here are my personal favourites, I use these water stones every day and the order is not necessarily in priority, they are all good. Naniwa is a Japanese maker of high quality water stones. This particular brand of stones is extremely popular and will not disappoint you. I recommend the Naniwa Professional 400, 1,000 and 5,000 grit stone combination. Feedback is something that is very important to most sharpeners, i.e. how the stone feels when you are using it. Does it feel smooth, creamy and silky or does it feel hard and scratchy. While feedback, pleasant or unpleasant may be a purchase deterring factor it really doesn’t have any effect on level of sharpness that the stone can deliver. Unless of course the feedback is so distracting that it hinders the sharpeners focus and enjoyment and as a result, the sharpener doesn’t like what he/she is doing so that ultimately it does have the potential to negatively impact the results. The feedback on the Naniwa Professional line up is, in my opinion, absolutely delightful, in fact the 400 and 1,000 grit offer fantastic feedback and while the 5,000 grit stone does feel harder, it still feels completely acceptable. These are pretty much “splash and go” stones, this means that they do not require soaking, you just lubricate them with water when ready to sharpen and go. Specifications of the Naniwa Professional line, as you can see on the manufacturer’s website. You can start your sharpening journey with these stones and stick with them for the entire trip. Eventually you may want to expand your collection and pick up the 2,000 or 8000 or even the wondrous 10,000 grit stone, whatever you choose this brand is a good choice. Naniwa also makes the Naniwa Traditional line of stones, these are less expensive than the Professional lineup and I believe were created to compete in terms of cost with some other brands such as King that are less expensive, more attractive to some who are just starting and may not want to invest a lot of money. I have tried the Naniwa Traditional 220, 1,000 and 2,000 grit stones and I thoroughly enjoyed them, so if you are considering a less expensive brand to get started, these are also good. I do not like them as much as the Professional line but I do like them, they work, they make the knives sharp. The Naniwa Traditional stones available on the market. Naniwa has also produced another gem, the somewhat famous, Naniwa Aotoshi, more commonly referred to as the Green Brick of Joy. It is a 2,000 grit water stone with absolutely exceptional feedback, it is a pure joy to use and delivers fantastic results. NANIWA PROFESSIONAL 600, 800, 2,000, 3,000 and 10,000 grit are also great stones. In fact, the Naniwa Professional 3,000 is probably the best 3,000 grit stone you can buy, it really is that good. If a polished edge is what you are looking for, the 1,000 grit and above will give you all the polish you need and more. 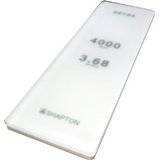 Shapton Glass 320, 500, 1,000, 2,000 and 16,000. I have the 4,000, and 8,000, they are absolutely fine, great in fact but I just don’t use them as much as the others. These stones excel on knives made of hard steel, the hardest steel is no match for these. 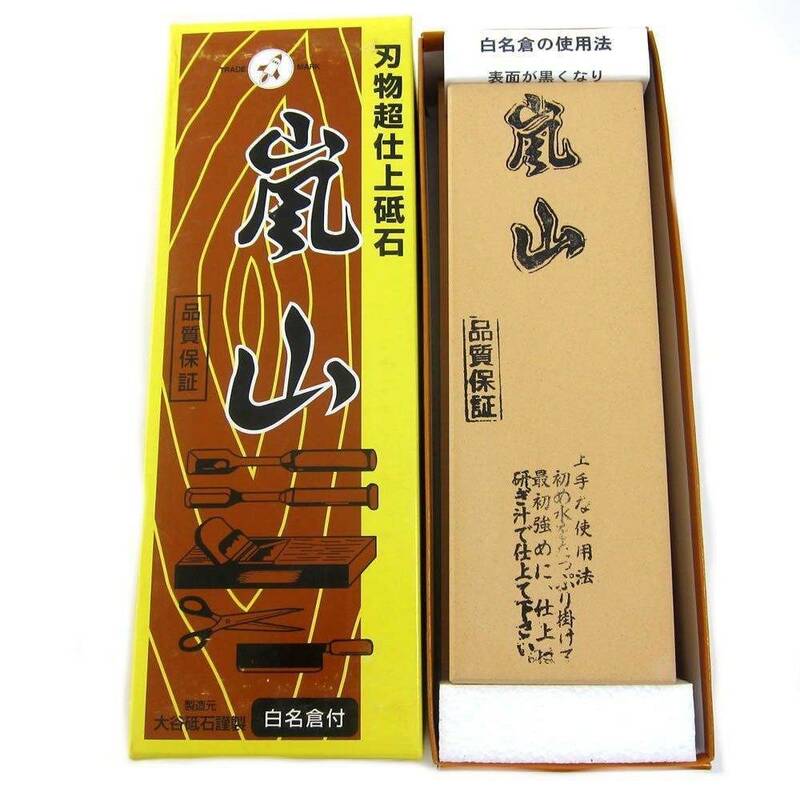 This does not mean you can’t sharpen hard knives on the Naniwa brand of course, you can. I have been using this particular brand of stone for many years and I absolutely love them. In terms of feedback, in the eyes, and in the hands of many sharpeners, the feedback on this particular brand of stones is not to their liking and often it is enough to stop them from using them. These are thinner than other stones as well so you may get the impression that you are not getting your moneys worth. They are very hard stones, there is no soft, creamy sensation as you sharpen, there is not much feedback at all in fact. The reason why they’re called “Glass” stones. In regards to their coarse stones, the 500 grit Shapton Glass is one of absolute favourite coarse stones, I personally put it on par with the Naniwa Pro 400. They are also splash and go, absolutely no soaking required. Also, Shapton products are very well made, I own the Shapton stone holders and the amazing Shapton Pond, I cannot speak highly enough about the quality of these products. 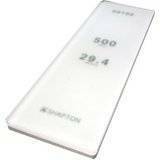 To summarize, Shapton Glass 500, 1,000 and 2,000 is a good combination and if you would like to throw in the 4,000 grit stone in lieu of the 2,000 that is good as well. If your knives are very hard, ZDP 189 for example, this is a fantastic choice. (They are also excellent for tools, chisels etc. and they are the premier choice for many Straight Razor honers). These are also ceramic based water stones and come in plastic cases that can be used as stone holders. 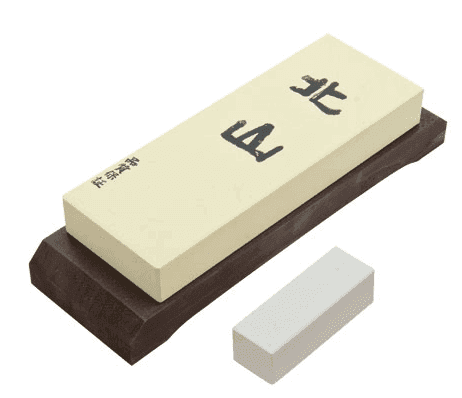 They are highly regarded water stones and much loved in the professional sharpening community. Many regard the 2,000 grit stone as one of the very best whetstones in that grit and also the 5,000 grit stone, it is superb. 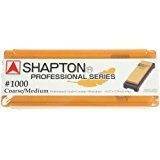 I have the Shapton Pro 220, 320, 1,000, 1,500, 2,000, 5000, 8,000 and 15,000. There is also a 30,000 grit stone that I have not had the opportunity to try. A fantastic combination is the Shapton Pro 320, 1,000 (or 2,000) and then a 5,000 grit finish. 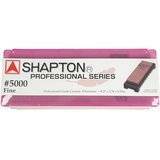 The Shapton Pro 5,000 stone is capable of creating an edge sharper than most people have ever seen. In terms of feedback, the 5k stone is quite hard but the lower grit stones do feel this way, they feel quite nice and there is not one of them that I have grown very fond of. If you are looking for a polished edge, the 5,000 grit stone will deliver. The 8,000 grit Kitayama is definitely a popular 8K stone, it is my favourite, and the feedback has much to do with that. It is silky smooth and feels creamy when you use it. When reaching refinement levels of 6k and above, polished bevels/edge are inevitable, and often sought after. The level of polish from this particular stone is very beautiful, assuming that you have done some refinement prior to this but it is a wonderful 8,000 grit stone. The 6,000 grit Arashiyama stone is another beauty, it is my favourite 6k Stone. When starting out sharpening, it won’t be long before you hear about the “toothy” vs “polished” edge. It will suffice to know that a 1k stone is going to give you an edge that will perform beautifully as will a knife finished at 5k. There is a belief that a knife that has a highly polished finish, 5k and up will be so polished that it’s toothy goodness will be erased. This knife will not bite into the skin of a tomato for example because the edge is too polished, it will slide over the top. This is not always true, if the knife has been sharpened well, i.e. if Side A and Side B of the blade meet precisely at the Apex of the knife, that edge will slide into a tomato quite beautifully. I have seen many brand new Japanese knives with highly polished 8k edges that no tomato skin can stand up to. So, as you can see, there are numerous different types and grades of whetstones on the market today and each has its advantages and disadvantages. 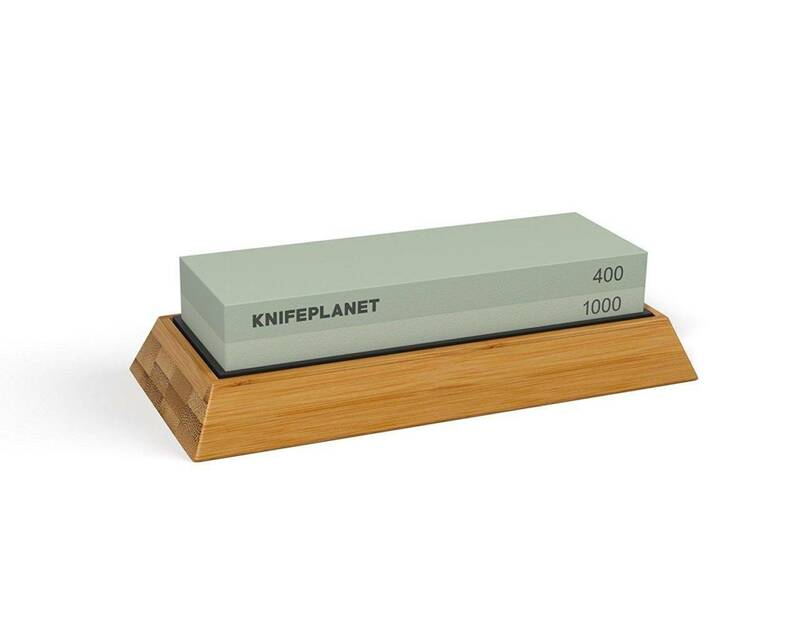 Therefore, the right practice to choose the right sharpening stone for you is to choose a whetstone material based upon how fast you need to remove metal and how fine an edge you need. 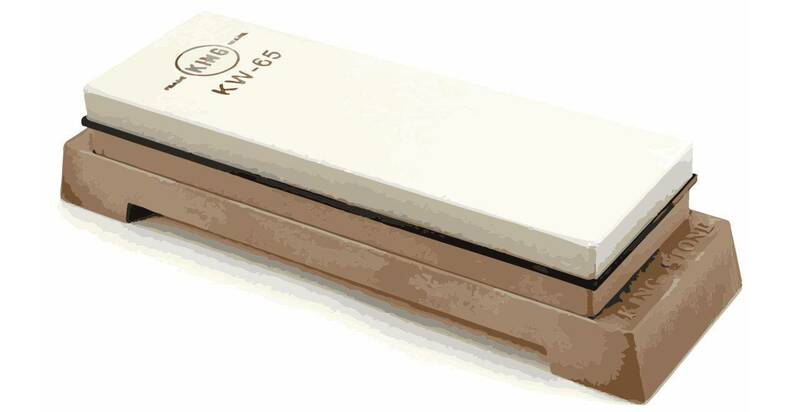 For instance, although they are often the most expensive type of whetstone, diamond hones generally cut the fastest even in their finer grits followed by Crystolon Stones and then India Stones which are then generally followed by Japanese Water Stones and then by Novaculite, Belgian Blue, and Coticule whetstones in terms of how fast they remove metal. However, it should also be noted that the rougher an edge is, the less sharp it is while, the more polished an edge is, the sharper it is and thus, rough edges are fine for some tools while other tools require a much finer edge and, hunting knives require the finest edge of all. 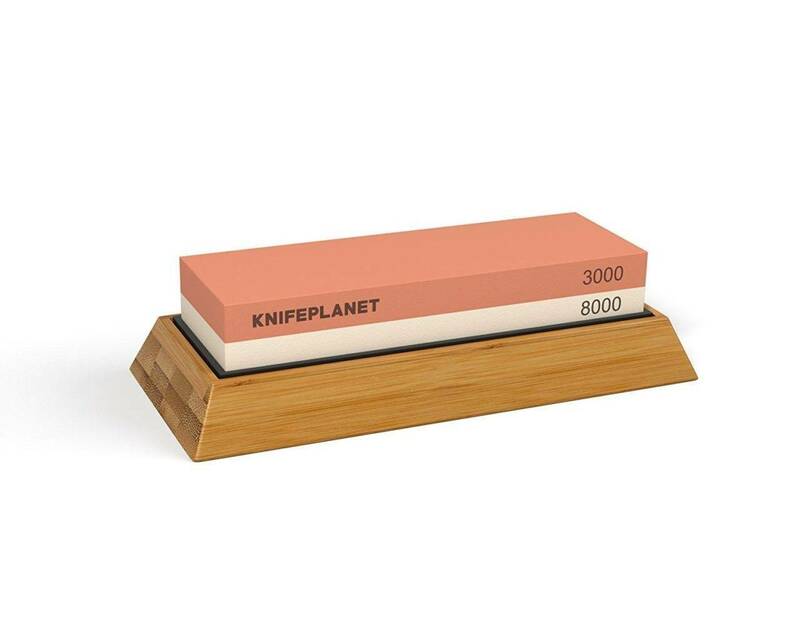 Therefore, the trick to choosing the proper whetstone for any given sharpening purpose is to purchase multiple stones with varying grits to accomplish each given task from cutting an initial bevel or defining a damaged edge to refining an existing edge to polishing it. We hope this article helped you. Feel free to leave a comment below if you have questions. 1. Diamond Stones. I’ve used two, many years ago, to sharpen steel knives & found that the diamond coating wore away. They did work well at first, but then I was sharpening on the backing material. This puzzled me, because diamond is harder than steel, but have only recently read that the diamond particles are torn off the backing material because they stick to the softer steel. Diamond stones are recommended for sharpening ceramic knives only. This info about diamond stones & steel knives I got from an Edge-Pro article. 2. Although I’ve been sharpening knives for a while, I never could get a knife sharp using the freehand method, I’ve had to rely on various jigs to set & maintain a constant angle to the bevel. To begin with, the Lanksy knife sharpener kit was my main tool, but then I found a South African jig made by Warthog Knife Sharpeners. I still have their first model, which, if memory serves me, came out in the late 1990’s. This has since been upgraded & is supplied with a diamond stone, which is worthless unless it’s going to be used for ceramic knives. However-the Warthog & the Warthog Multi-Blade’s modus operandi has the knife moving ABOVE the stone, unlike the Lanksy / Edge Pro / Edge Pro Chinese copies & variants. ( No oil / water dripping off the stone from above the knife). Also, the Warthogs use any bench-size whetstone available to its owner, a very big plus if you want to use your grand-dad’s old Arkansas stone.No tie in having to buy the manufacturer’s specialised stones which work only with one type of sharpening jig. The Warthog factory make other sharpening jigs but all use diamond slips & I would only recommend, for steel knives anyway, their Multi Blade model, because it’s capable of using ANY bench stone. It’s finicky to set up, needing to be absolutely level, & I use a digital angle finder to set the bevel angles. I also use a copy of the Edge Pro , with a number of Chinese water / oil stones. It’s nice having the “Faux-Pro” set-up, stones (cheapies) are available up to high grit / very fine specs. The “Faux-Pro” can also use the stones for the original Edge Pro, also Chosera stones, available from chefknivestogo Unforunately, most of the stones mentioned in the article above aren’t available for the Edge-Pro etc. My best results are from a hard grey Arkansas bench stone used on the Warthog. 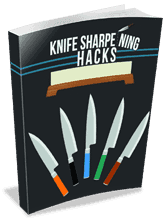 Using stones is the best way to sharpen a knife. Hope, we’ll be benefited to use these stone for knives. Great post – through and comprehensive. An extremely well written and informative article on sharpening. Overtime we all get to love certain stones for our sharpening needs. I am a huge coticule fan, and although i have used all the others, i always come back to this natural stone above all others. Still trying to figure if i chose it or it chose me! NEver the less there are so many options out there it is not hard with a little time and effort to find the right combination for your needs.